If you're looking for used Cadillac motors because the car you love gave up the ghost, know that your search can be difficult, dissatisfying and costly even before you buy. We urge you to be careful and selective. You have the option of dragging yourself through the world of scrap yards with dreams of saving thousands. Choosing this route will met with you being manhandled one auto rep after another. Then, charged for asking. Your reward is a negative impersonal experience and email spam for eternity. End the agony. Save time and money with Sharper Edge Engines that provided good clean used Cadillac engines. 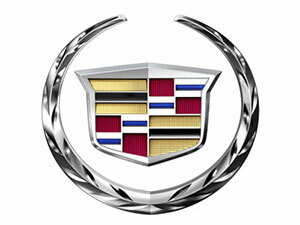 One phone call gets you FREE quotes on any used or rebuilt Cadillac engine for sale in 2 minutes. Ready? Choosing a used auto motor distributor over scrap yard selections means your engine has been manually and digitally tested before installation. Less work on your part. And the prices are the same.Your initial investment into a Cadillac paid off. Just like many of our clients, you're hoping a replacement Cadillac engine will balloon into another generation or more of driving. You're smart to think so, because it is possible, especially for your choice of auto wheels. Cadillac is noted to reliability beyond 400,000 miles with basic maintenance. Cadillac engines have served drivers to the very edge of reliability as far as used automobiles can thrive. It takes one of the top spots for durability and power. Even with diligent care, that engine can see it's last breath after years of wear and tear. It is sensible to replace it to extend life another generation or two. Anxious to get some prices? Go ahead and call. A confident calm representative located at our local store will provide you a wealth of information related to buying a used engine as well as prices, financing and even delivery time (usually, under a week). Between used and rebuilt, you'll find the more reliable Cadillac motors in the category of rebuilt auto engines where worn components are replaced with quality used or new parts and tested to maximum performance and stress. The most reliable auto motors are classified as remanufactured Cadillac engines, where replacement parts are always new and the engine is smoothed, engineered, and refined to like-new condition in every aspect. Prices on rebuilt or remanufactured engines are typically higher than those of pulled used motors, but there are exceptions. For example, some remanufactured engines which have not been sold over time may be placed at a discount. Or there may be too many under certain VIN classifications in stock eating up real estate space. There may be a used motor with very little miles in pristine condition ready to ship. Call early and often! Our family holds the honor of having serviced auto drivers for more than thirty years. Our certified automotive technicians and automotive engineers have been by our side. Engine overhaul, remanufactured and rebuilds are performed in-house. We control overhead, but more importantly we control prices. We take the time out for your benefit to locate the proper engine prior to installation, exact transparent financing to suit your budget and administer individualized care. We realize your used engine purchase isn't so much about that engine as much as it is about your life. When all is said and done, shipment usually arrives within 3-5 days. 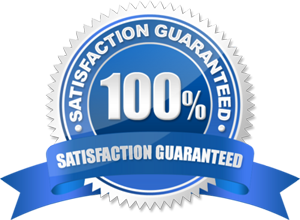 We provide an estimated time of arrival along with your free quote. Call us today for quick free information.